Riding a bike is an enjoyable way to exercise and commute, but those benefits come with inherent risks. In the event of a collision with a motor vehicle, cyclists have little protection from the force of impact, so they are likely to sustain devastating injuries, some of which can affect victims and their families for the rest of their lives. If you or someone you love sustained a spinal cord injury in a bicycle accident, contact Charnas Law Firm. Attorney Scott Charnas has assisted hundreds of clients throughout New York and Massachusetts in personal injury and wrongful death cases. Call 212-980-6800 to schedule a free consultation with a bicycle accident attorney. 1. Can I File a Claim If I Was Partially Liable for the Accident? As the Pedestrian and Bicycle Information Center explains, bicyclists are allowed to ride on the road alongside motor vehicles in all 50 states; however, they must follow all applicable traffic laws when doing so. If you violated a law and contributed to your crash, the opposing party may argue that you were partially or entirely liable for your injuries. Since personal injury cases in Massachusetts are governed by a modified comparative negligence rule, you may be able to recover damages even if you were partially responsible. As long as you were less than 51 percent at fault for the incident, you may be entitled to compensation. 2. What Damages Are Available in Bicycle Accident Spinal Cord Injury Claims? 3. 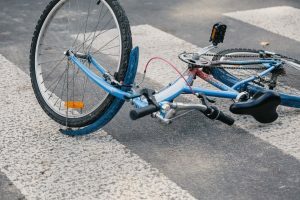 How Long Do I Have to File a Bicycle Accident Claim in Massachusetts? In the state of Massachusetts, victims of personal injury typically have three years to file a lawsuit against any liable parties. Since there are several exceptions to this statute of limitations, though, it is wise to take legal action as soon as possible. For example, if you want to name a government entity in the lawsuit, you must submit a written claim to the executive officer of the agency you wish to sue within two years and file the formal suit within three years. A personal injury lawyer can help you prepare this claim and ensure you do not miss any other critical deadlines. If you sustained a spinal cord injury while riding a bicycle in Massachusetts or New York, turn to Charnas Law Firm to determine the most strategic way to proceed. Attorney Scott Charnas has recovered nearly $50 million for his valued clients. Call 212-980-6800 to schedule a free consultation with a personal injury attorney.